Pritzker prize-winner Peter Zumthor’s stunning Brother Klaus Chapel juts like a giant haystack from the middle of a German field. It redefines the way the outside affects the interior space of a building by drawing light in from the roof and the pyramid door. 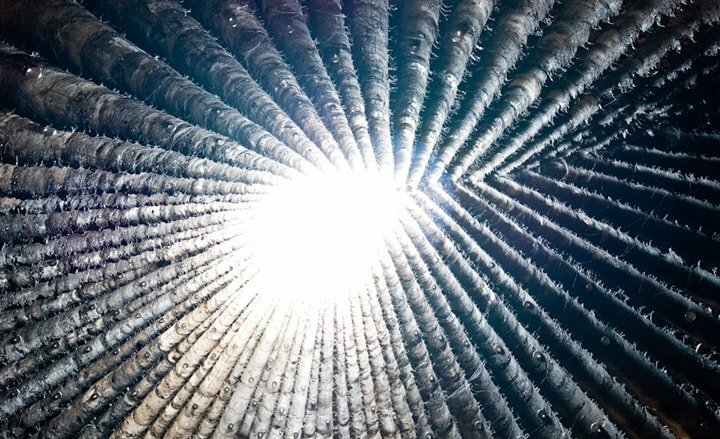 The chapel Zumthor created for a group of farmers in honor of their patron saint was constructed with unusual techniques: packing concrete around timber, then setting it on fire to achieve the scorched look of the interior. The floor is molten lead, and the roof is open to the elements, creating a different atmosphere throughout the year. One word: brilliant. Read more about the Field Chapel HERE. Branding: Has Apple Just Made a Genius Move?